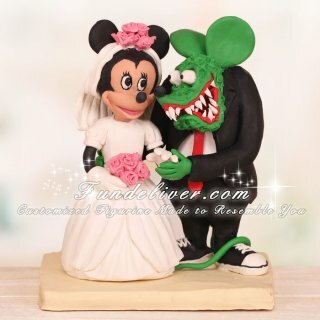 This is a completely customized Rat Fink and Minnie Mouse wedding cake topper ordered by one of our customers. They would like Rat Fink to be dressed in a black tux with R.F. on his left chest. Minnie Mouse they want is in a wedding dress holding a bouquet and having her arm around R.F. arm. 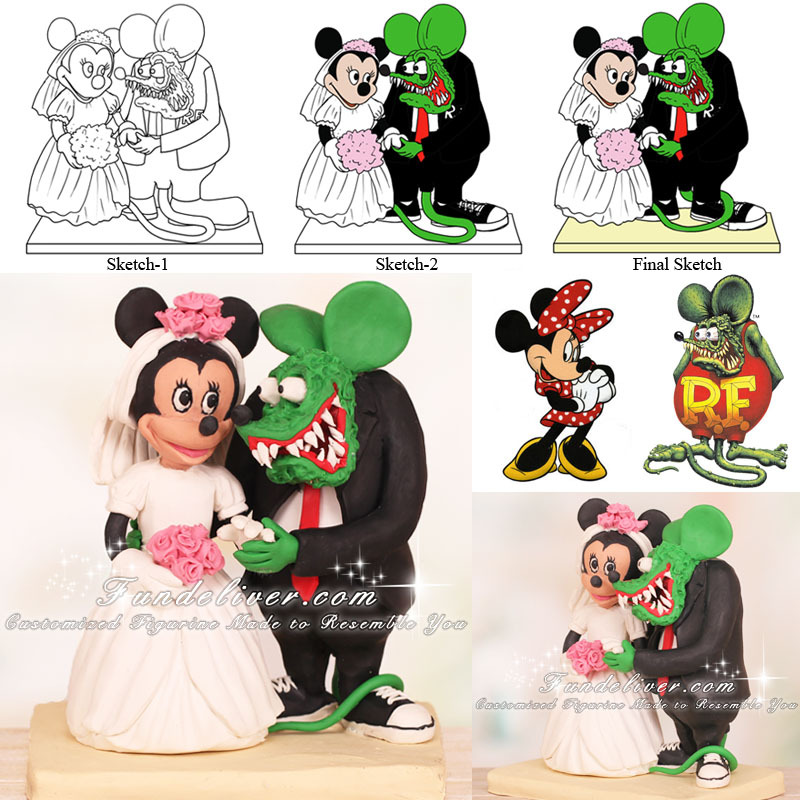 This idea is like a personification of their personalities, thus they ordered this cartoon characters Rat Fink and Minnie Mouse cake topper.